Save on the gizmos you need with this 48-hour sale at Newegg.com. We're talking great deals on brands like Apple, Samsung, Toshiba, Panasonic, Nikon, and LG. What are you looking for? 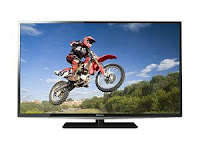 Apple iPads, a 50" Plasma HDTV, Klipsh surround speakers, Xbox 360 video games, Panasonic cameras, and more are included. Note: Be sure to use the specific promo code on each item when you purchase. Every deal has a different one. Click here to view the sale at Newegg.com.